Pop Up Exhibition, Artist Talk & Identity Art Workshop. Proudly supported by Suffrage 125 Community Fund. - Pop Up Exhibition Open from 10am-4pm. 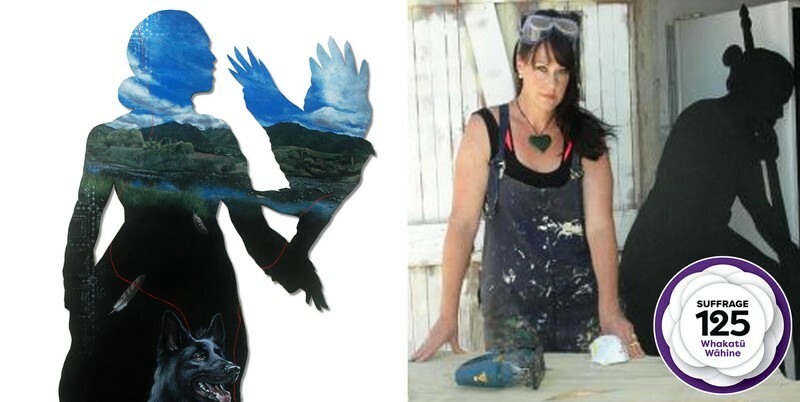 Workshops will be about creating an oil pastel drawing within a bird sihouette, based on and about the identity given to you by an inspirational woman in your family. You can take your artwork home & with your permission, we would also like to film you talking about your work and the inspirational woman you have chosen. This film will be played during Penny’s Mana Muse exhibition at Whitespace Contemporary Art Gallery from the 30th September to the 26th October 2018.